According to folklore, spouses who place lavender flowers between their bed sheets will never quarrel. Since I never quarrel with my wife, Melissa, I prefer to let lavender work its magic in my garden. 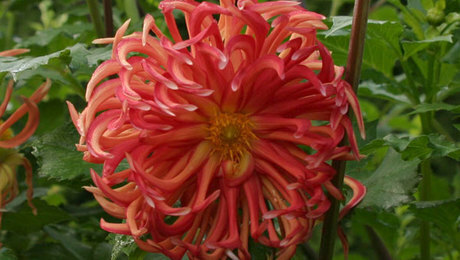 I'm passionate about its flowers and foliage. It's also attractive to me because it has many uses, from lavender wands and dried flowers for potpourri to oil for aromatherapy products, colognes, lotions, and soaps. My herb mentor and friend, Emma Wakefield, introduced me to lavender. 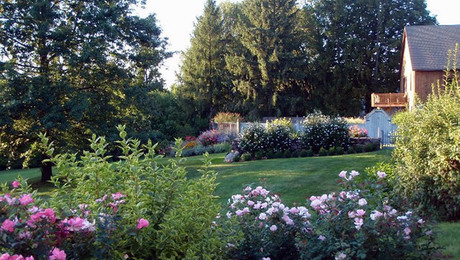 As we walked down the path that wound through her garden, she pointed to varieties of lavender while reciting horticultural epithets and interesting facts about each. During Roman times, the mention of lavender conjured up images of Spanish lavender (Lavandula stoechas) and French lavender (L. dentata)—the herbs of choice at the Roman Baths. Many other species and cultivars have gained notoriety through the ages, including English lavender (L. angustifolia) for its superb oil quality and lavandin (L. × intermedia) for its long-stemmed flowers. 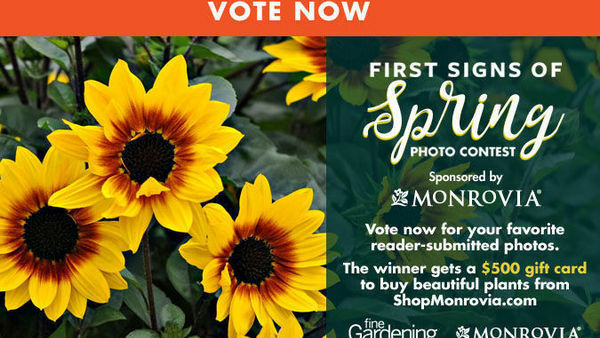 See "Exceptional lavender selections" (below) for a list of choice plants and their distinctive features. 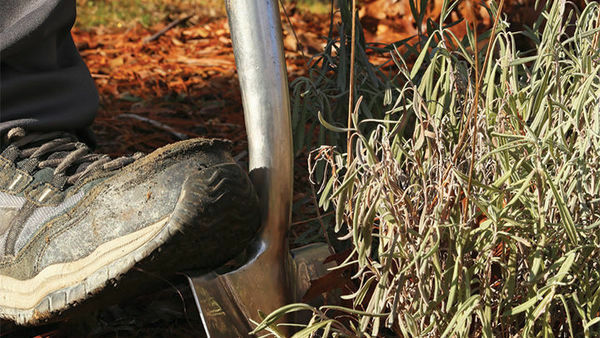 Learn to prune lavender and other subshrubs. 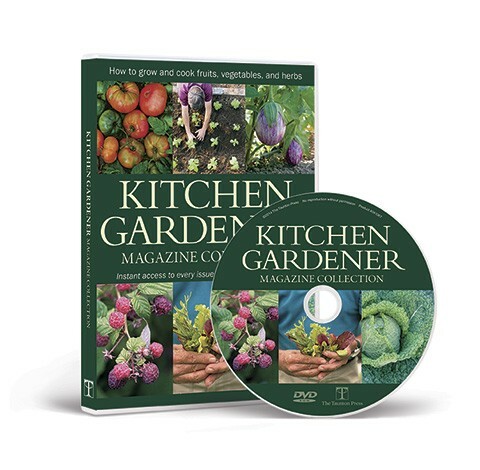 Watch a video on drying herbs. 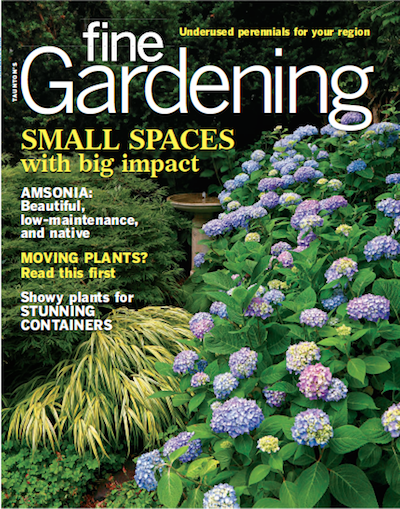 Read about more ornamental herbs. 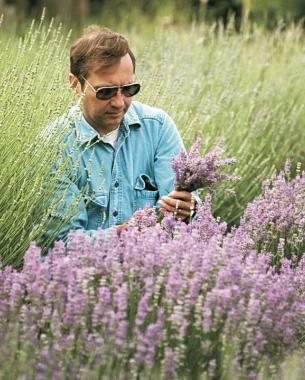 Flowers and foliage play important roles in determining a lavender's worth. Some lavenders have unusual flower heads, while others are garden standouts for the color and shape of their foliage. When judged for their foliage, lavenders with dentated (toothed) and silver-colored leaves are the most sought-after specimens. 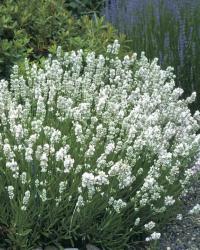 The small, spear-shaped leaves of lavenders are characteristically green when young and turn silvery-gray as they age. 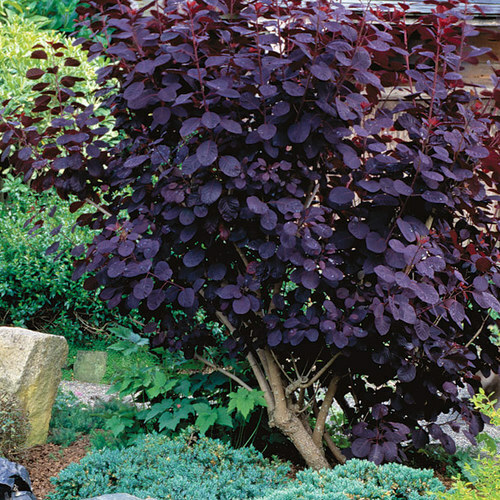 L. × intermedia 'Fred Boutin', a lavandin cultivar, is near the top of the list for foliage color. Its leaves brighten to a distinct silvery hue during the heat of the summer and stay silver into the winter months, when most lavenders become dull and uninspiring. Dentation, or the rounded, teethlike shapes that adorn the margins of some leaves, is another attractive feature of a few lavender species. The leaf margins of 'Goodwin Creek Grey' have just a few teeth at the basal end of the leaf, whereas the leaf margins of French lavender are uniformly toothed. 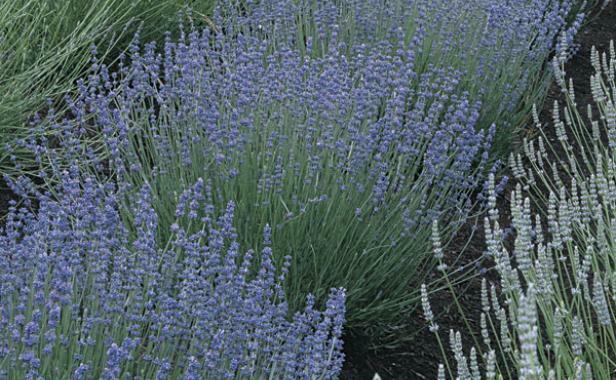 Other lavenders with notable foliage, like 'Silver Frost', 'Ana Luisa', 'Richard Gray', and 'Sawyers', were derived from crosses with woolly lavender (L. lanata), a plant known for its textured leaves. They all rival 'Fred Boutin' in brilliance. They inherited not only silver-colored leaves, but also the hairy leaves of woolly lavender. For some lavender enthusiasts, the darker the color of a lavender's flowers, the more attractive the plant. I prefer lavenders with dark-purple flowers because they retain their color best when dried; so naturally I gravitate toward English lavender cultivars. And while 'Hidcote' is a superior and well-known English lavender, this cultivar does have rivals. 'Royal Velvet' sports dark-purple flowers on long flower stalks, while 'Sharon Roberts' performs as well as 'Hidcote' but is also a good rebloomer. Another worthwhile rebloomer is 'Two Seasons', which produces its deep-lavender-blue flowers first in June and then again in September. No lavender flower is more intriguing than Spanish lavender (L. stoechas). The dark-purple bracts, or "rabbit ears," that sit above the pinecone-shaped flower head appear to glow when backlit by a rising or setting sun. These showy flowers are the first lavenders to bloom in spring in my garden, and with some deadheading, they continue to bloom freely throughout the growing season. Although the shapes of lavandin flowers may be less intriguing than those of Spanish lavender, these flowers make up for their lack of showiness by rising above the plant on incredibly long stalks. 'Grosso', which stands at 24 inches when in bloom, is my favorite lavandin. Its tapered flower head is a bit showier than the rest of the lavandins', and its fragrance has a pronounced hint of camphor. It's also the most versatile lavender for wand making. 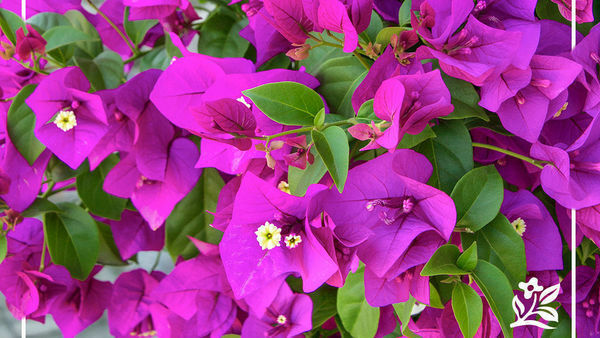 'Provence' is another lavandin that is popular for its flower head and sweet, floral scent, but it tends to shed its flowers when cut and dried. Lavender should be harvested when the weather is dry. 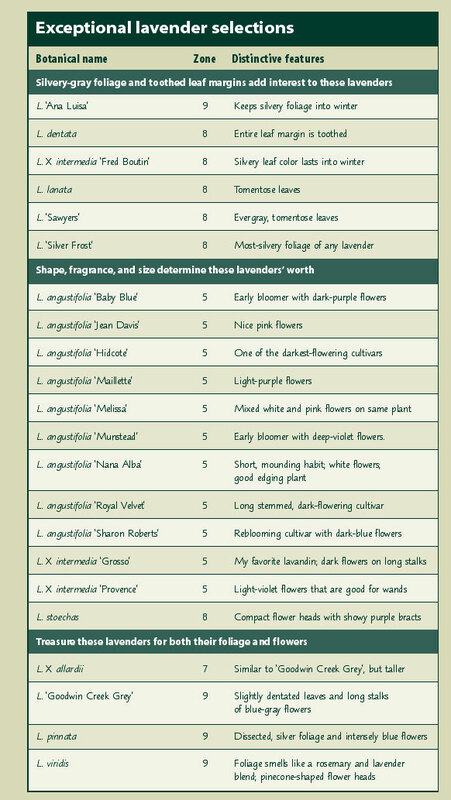 For details on how to go about collecting and drying this plant, see "Harvesting lavender" (below). Lavender flowers are not only beautiful on the plant, they make great dried flowers as well. Timing is key when harvesting lavender flowers for wands, dried everlastings, potpourri, and oil production. The best time is following a few days of dry weather, during the late morning after any dew has evaporated. Picking lavender flowers during dry weather shortens the drying process because the stalks will have less water in them. The cooler morning air temperature is important because lavender oil dissipates as the temperature rises. Also, as the day wears on, there will be more bees to contend with. I do not harvest flowers on rainy days, as many of the constituents of the essence of lavender are water soluble and will leech out. When harvesting flowers for everlastings, I check the dark flower heads daily and collect them only at the swollen bud stage, when just one or two of the flowers have opened on the flower head. Picking the flower heads at this time preserves their dark color and ensures that the flowers will stay attached to the stalk once dried. Picking flower heads once they have passed this stage results in paler flower colors and shattered flower heads. When harvesting lavender for potpourri, I'm less concerned about shattered flower heads and flower colors than I am when collecting flowers for drying on the stalk to make everlastings. I don't harvest white or pink flowering varieties for drying on the stalk, as their colors turn muddy when dried. However, they are fine for potpourri or sachet making. L. angustifolia and its cultivars are the best lavenders to use for potpourri because the oil quality is the best. 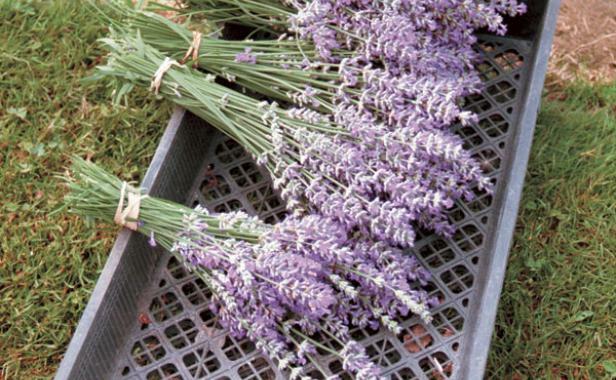 Lavandin is the only lavender to use for wand making, as its stalks are 18 to 24 inches long. When cutting fresh lavender stalks for a wand, I cut at the base of the stalk, right at the point of the first leaf. I use my pruners, but a sharp pair of scissors can also be used. Once the stalks are cut, I gather a handful together and secure them with a rubber band and lay them flat until I'm ready to bring them inside. When drying single flower stalks, I lay them out in rows on newspapers in a dark, dry room. Keeping the flowers out of sunlight preserves their color. When drying large amounts, I hang the handful I collected in the garden from hooks in my barn, where there's plenty of air circulation and low light. It usually takes one to two weeks for lavender flowers to dry in hot summer weather. I check them every couple of days to make sure no mold has developed. 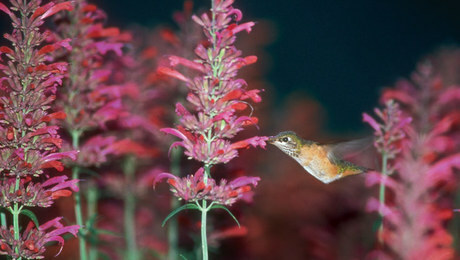 The lavender scent volatizes quickly, but it can be refreshed by adding lavender oil or crushing some of the flowers. Store dried lavender out of direct sunlight to preserve its color and scent. A few lavenders have earned my respect by possessing both interesting flowers and foliage. L. pinnata stands out in my garden for its silver-colored, dentated foliage and intense blue flowers that open in a spiral fashion along the flower head. Intricate dark veining adorns each flower. 'Goodwin Creek Grey', which came about through an accidental cross-fertilization by my friend and fellow nursery owner Jim Becker, has hairy, silvery, slightly dentated leaves and long spikes of tapered, blue-gray flowers that make it a superb specimen plant. And from what I hear, it does well in the South's summer heat and humidity, unlike many other lavenders. L. viridis teases gardeners with foliage that smells like a cross between rosemary and lavender when brushed. Its evergreen foliage looks good in the garden, and its pinecone-shaped flower heads with yellow bracts add distinctiveness. L. × allardii is a lavender hybrid that flaunts silvery, slightly dentated leaves, and 6- to 8-inch-long flower stalks. This plant is similar to 'Goodwin Creek Grey', though it's much larger, growing into a 4- to 5-foot-tall shrub from a gallon-sized plant in just one growing season. 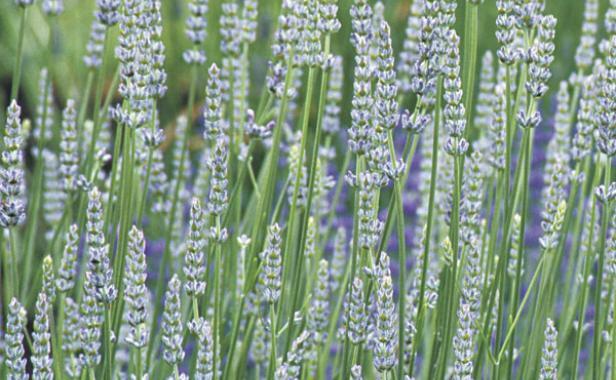 Smaller-growing, mound-forming English lavenders make great edging plants or can be massed to create a large silvery bank topped with hundreds of short lavender spikes. Some notable English lavender cultivars that lend themselves to this kind of treatment are white-flowered 'Nana Alba', pink-flowered 'Melissa', lavender-blue-flowered 'Maillette' or 'Martha Roderick,' and dark-purple-flowered 'Baby Blue'. This English lavender looks great at the front of a border at Joy Creek Nursery, Scappoose, Oregon. 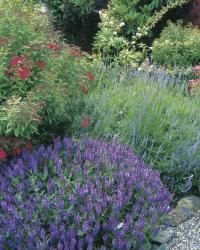 Low-growing lavenders make good edgers or front-of-the-border plants. 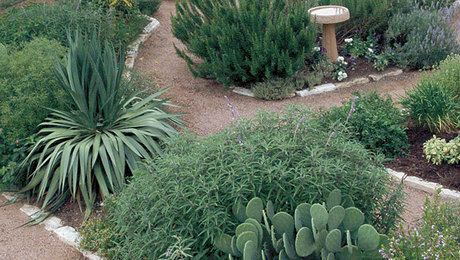 The pinecone-shaped flowers and silver foliage of Spanish lavenders make them great specimen plants. I plant these medium-high growers in my beds to act as beacons among the many green-leaved perennials I grow. For example, their silvery, needlelike foliage provides contrast to, but also blends especially well with, the reddish-purple flowers of anise hyssops (Agastache foeniculum and A. mexicana cvs.). 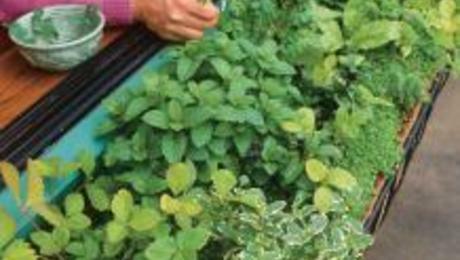 Tall-growing lavandins make fine hedging plants. 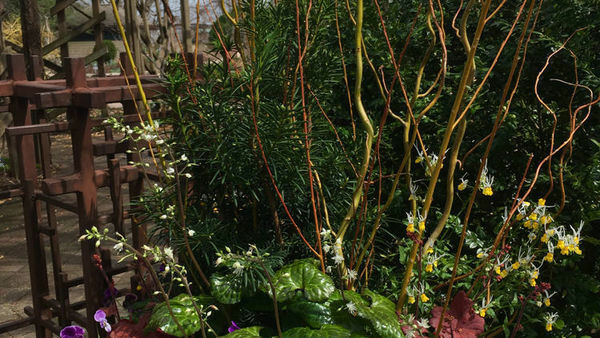 And since their foliage is larger and their flower stalks longer than those of their English lavender cousins, they catch the wind and provide movement in the garden, much the same way ornamental grasses do. 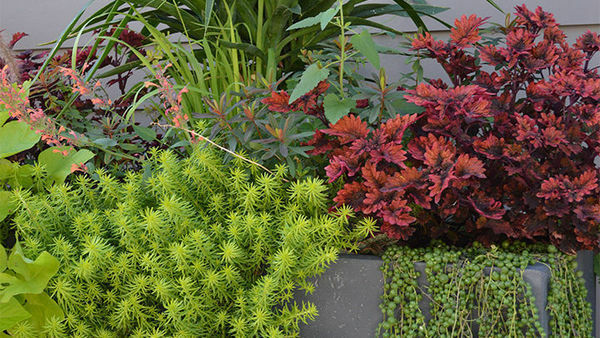 The less hardy species make great container plants. By using L. viridis and L. pinnata as specimen plants in containers, I can appreciate the detail of their flowers and foliage up close. 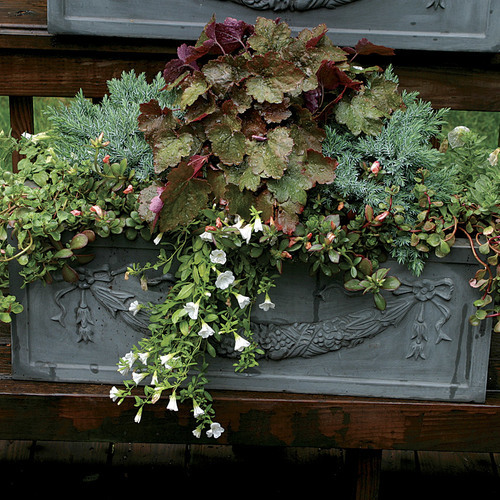 For another unusual garden accent in a container, I rely on 'Goodwin Creek Grey' for its silvery-white foliage and tapered flower heads that are an unusual dusky purple color. I also like 'Silver Frost' for its textured foliage. 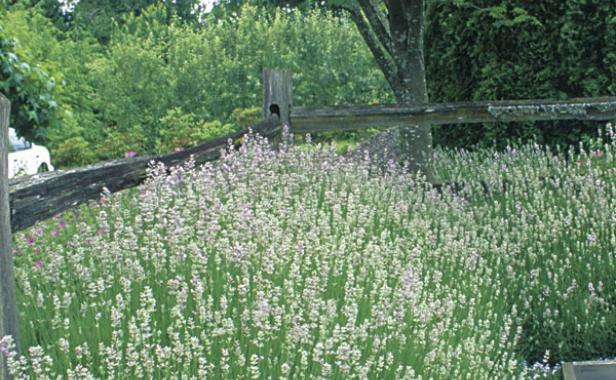 In the author's Oregon garden, June is the time when most lavenders are in bloom. Most lavenders are native to southern Europe, but I don't let their love for hot, dry, sunny sites and their affinity for fast-draining, alkaline soils deter me from growing them. If your soil is heavy and slow to drain, like mine, you can create a hospitable place for lavenders by amending your beds with plenty of organic matter. Mushroom compost and composted garden debris promote soil aeration and help keep the plants from succumbing to root rot. 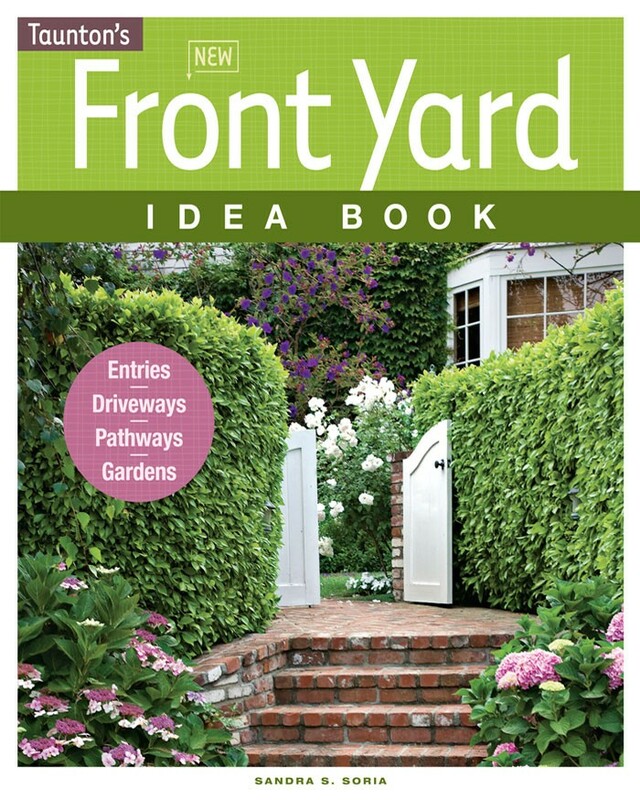 Growing them in fast-draining raised beds is another workable option. I feed lavenders only when planting them, and I use an organic fertilizer. Although fertilizing lavenders with a formula high in nitrogen as they get older will encourage growth, it does so at the expense of oil quality. If you're not concerned about harvesting your lavender for oil, then you can apply a balanced fertilizer at the start of each growing season. 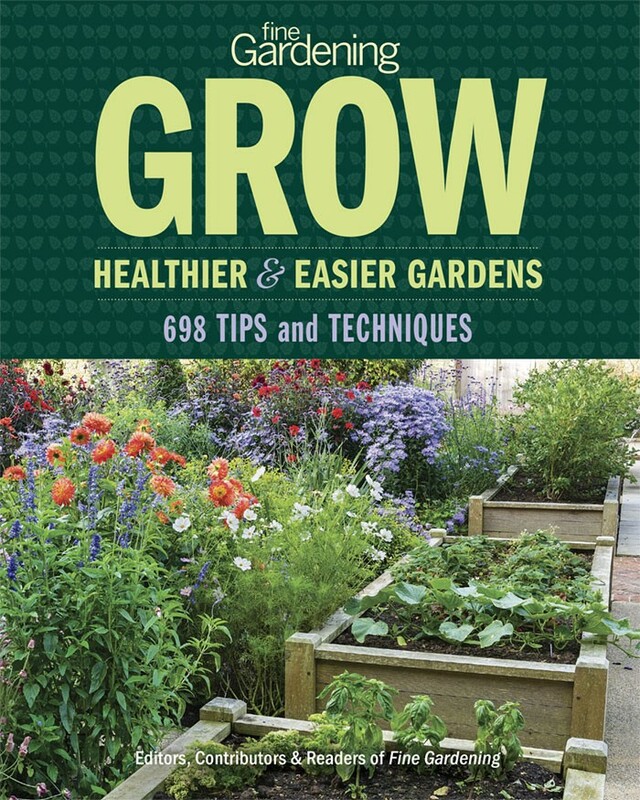 Also, when first planting out young plants, I cut off any flower stalks to divert the plants' energy into producing sturdy root and foliar growth instead of flowers. And I pinch the tips of any strong leaders or stems to encourage my lavenders to branch. 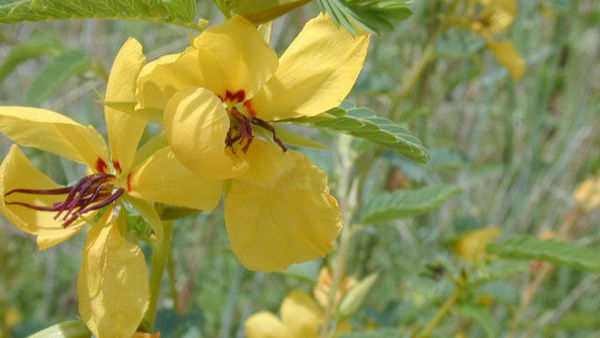 A group of 25 woody perennial shrubs, mostly native to dry, sunny sites found along the Mediterranean. Lavenders grow best in fast-draining soil and in full sun. Good air circulation is necessary to deter fungal diseases. 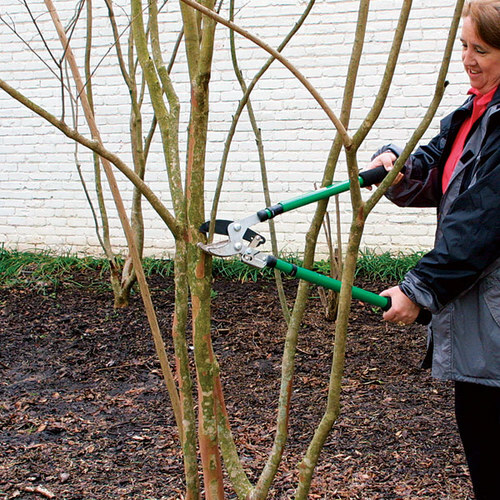 Prune plants lightly in early spring to shape, and after flowering to divert energy into foliar growth rather than seed production. 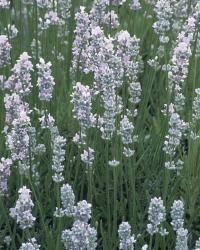 Lavenders can be propagated by seed, or to ensure lineage, by semi-ripe cuttings. 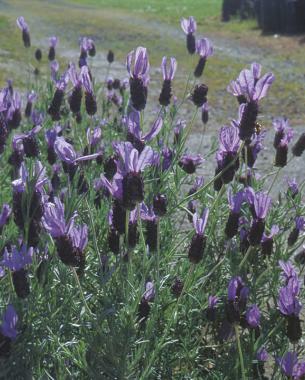 Lavenders may develop root rot and fungal diseases when grown in wet areas. Mildew is a problem in humid areas. 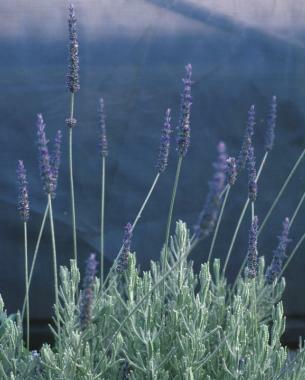 Common garden nuisances like aphids and slugs avoid the aromatic leaves of lavender. The only pest I encounter in my garden is an occasional green caterpillar that harmlessly binds the leaves together; my lavender is just a convenient place to overwinter rather than a food source. No real harm is done, and the caterpillars can be removed by hand. When grown in humid climates, lavenders can develop fungal and bacterial infections. One solution is to plant lavenders in containers in areas that experience humid summer weather to afford them better air circulation. 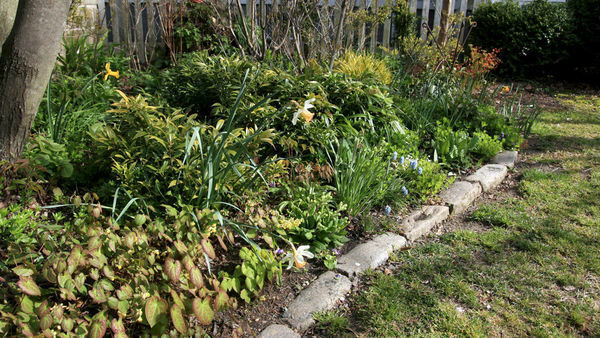 Mulching with a couple of inches of coarse sand or grit around the base of the plants will help promote drainage and avoid moisture build-up that can lead to root rot and fungal disease. Keeping the area that surrounds your lavenders weed-free will also help to promote good air circulation. 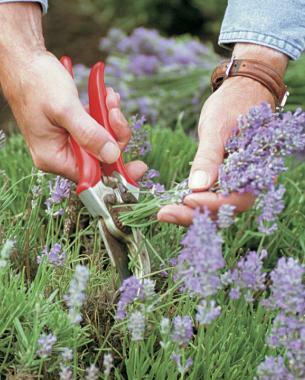 The best method for propagating lavender is to take 2- to 4-inch-long semi-ripe stem cuttings in summer. 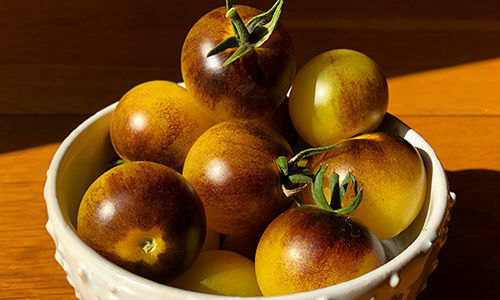 Semi-ripe stems are still pliable, but will snap when bent. 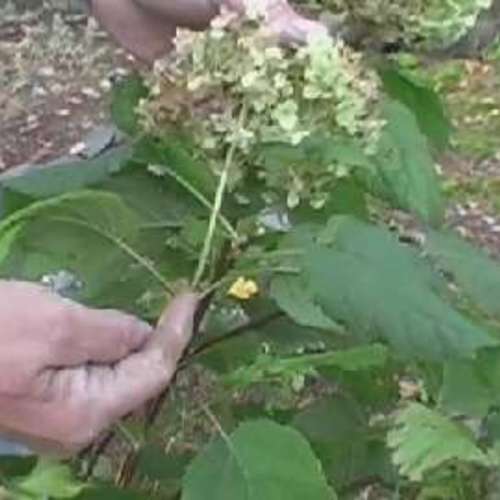 Remove the leaves from the bottom of the cutting, dip the end into rooting hormone, and place it into damp soilless mix. Since lavenders are susceptible to disease in humid conditions, keep the cuttings in a well-ventilated area until they have rooted. After a few weeks, cuttings that have grown roots can be potted up. 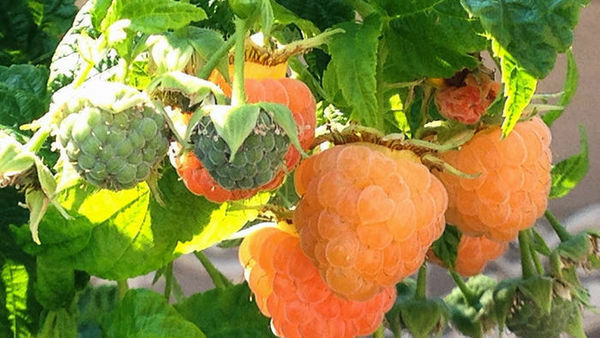 These plants can be transferred into the garden in fall. Lavenders can also be grown from seed, but cultivars never come true. Prune recently planted lavenders in flower to direct energy into foliar and root growth rather than into seed production. It takes lavender two to three years to reach maximum flower and foliage production. 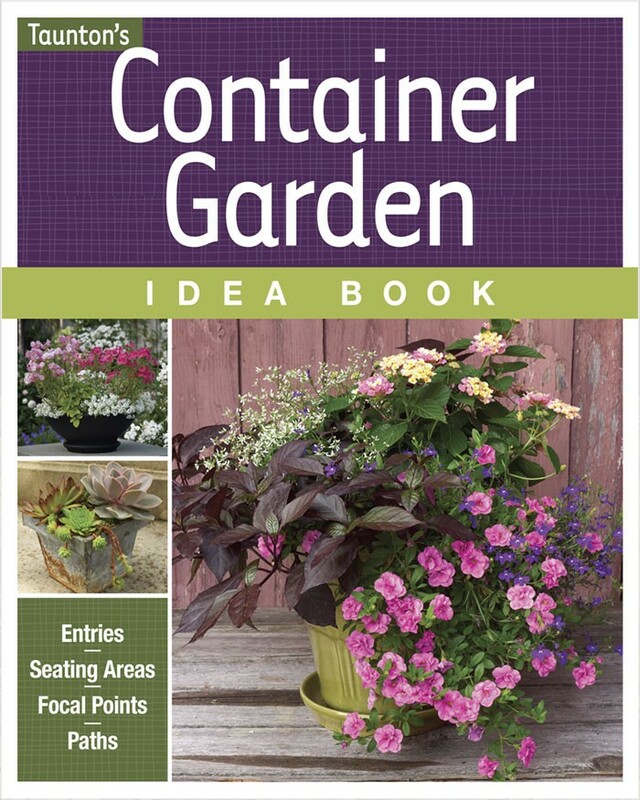 You can then harvest flowers and take cuttings to start new plants until a plant is about five years old, when flower output starts to decline. 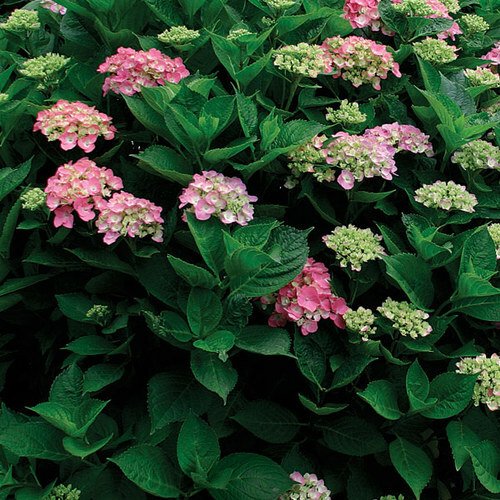 In the seventh year, woody growth develops, flower production decreases, and all the foliage is concentrated at the top of the plant. When I come across an old plant that I'd like to save, I first take cuttings and then try to rehabilitate the plant by pruning it. Pruning a lavender to the point where it has no foliage will most likely kill it, so I prune mine back only in small increments. In spring, I cut the foliage back by one third to stimulate new growth. Then, after the new foliage has grown in, I cut that back by one third to stimulate new growth at the base of the plant. If new growth does break at the base of the plant, I prune the plant back to just above the new growth. I never prune out old wood unless it is completely dead. With so many lavenders to choose from, it might be hard to settle on just one. Of course, that's the beauty of loving lavender. There's no need to limit yourself. The fun is choosing the lavender that's right for your conditions, and taking the time to stop and smell the flowers.